For new startup owners, there’s nothing like a vote of confidence in your idea. Many times though, more than just moral support, an injection of funds is actually what many new entrepreneurs require, because getting a startup up-and-running is really not for the penny-poor or faint of heart. From hiring your first employees, to marketing efforts, to day-to-day administrative costs, many entrepreneurs face months (some, even years) of losses before turning over profits. And that’s only if the venture takes off successfully. But the rough-and-tumble beginnings are where investors come in (some who are ‘Angels’ in the literal and figurative sense). Whether it be solely for an investment for potential returns, or an investment because he/she strongly believes in the cause, these funds are often the boost that many struggling entrepreneurs need to get off the ground. Needless to say, not all investments pay off due to many reasons, but there are some investors who somehow have the midas touch when it comes to identifying potential successes. We ask some startups in Singapore about their first investors, and the fateful meeting that kickstarted their route to success. There’s no lack of Carousell-related announcements on our page. Just this week, they announced the launch of their new platform and corresponding app, Carousell Motors, which aims to give serious car buyers a chance to buy and sell their cars with convenience and ease. 2016 had also been a great year for the startup, with their expansion to Australia and Philippines, acquisition of Watch Over Me and Caarly and a US$35 million Series B funding. “We believe the future is mobile,” said co-founder Siu Rui Quek in a phone interview with us, and it looks like the 4 1/2-year-old startup is set to venture even further – both in terms of verticals and geographically. Carousell’s first investor was James Tan, Managing Partner at Quest Ventures. We were introduced in 2012 through a mutual friend at our co-working space back in Blk 71 at Ayer Rajah Crescent. We were boot-strapping at that time, and only a lean team of three. During our conversations, he asked us many questions about our personal motivations and our vision and mission for Carousell. Back then, we were so focused on getting our first users and growing our community that fundraising was not foremost on our minds. Our first priority was to build a super strong mobile app to make buying and selling easy for people. James was super supportive. He had a lot of operational experience, and helped us as an investor as well as a mentor. He believed in us and offered us help when we were struggling. He gave us our first seed funding and was definitely a key enabler to our early growth. We still enjoy close ties today, and we are grateful to have his unwavering support. In November last year, Paktor, founded in July 2013, revealed plans to move into the arena of “social entertainment” after raising US$32.5 million of funding in November. Actual plans were still hazy then, but one month later, the announcement of the acquisition of Taiwanese livestreaming app “17” came, as CEO Joseph Phua unveiled that he would be accelerating the growth of the app in the region, and at the same time, capitalising on the rising demand for mobile social entertainment in Asia. 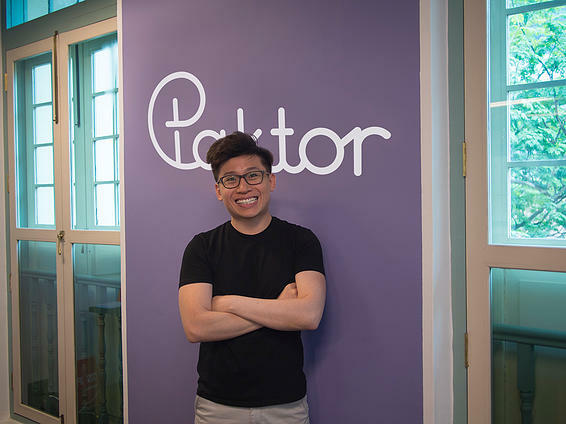 In January this year, they acquired US dating app “Down”, and just last month, announced the acquisition of 3 other startups and the launch of Paktor Labs, an accelerator for social apps with high potential. So it looks like while Paktor has an origin story deeply embedded in the dating app universe, their plans for expansion are way more diverse. Our first institutional investor was Vertex. It was one of the best decisions my co-founder and I made – we had a few offers on the table, we ended up going with Vertex because we felt they understood our vision, believed in the team and most importantly, we believed they were the type of investor who you’d be able to call at 3am when you’re faced with a situation that you need advice with and they’ll be there for you. In the last 3 years, we’ve gone through many ups and downs. Vertex has never claimed credit for any of the ups and have always been there in our downs – They’re like the rock you can count on whenever whatever. I remember calling Joo Hock at 1am last September because I was feeling a pit in my stomach for one of the deals we were going to do, due to the huge risks involved, and he talked me through it for 1 hour. After that I proceeded to call Kee Lock, who did the same. Despite being relatively silent in terms of news coverage, Burpple has remained a well-loved app in Singapore. The startup cleverly caters to the first love of all Singaporeans – food – curating lists of food places catering to palettes of all tastes. Having raised US$500k of funding in December 2011, it was only launched in May 2012. That year also saw the launch of the Chinese version of their app for the Chinese market and a Japanese version as well. 2013-2015 were quiet years, but in December 2015, the startup emerged from the shadows, announcing a US$6 million Series A funding. 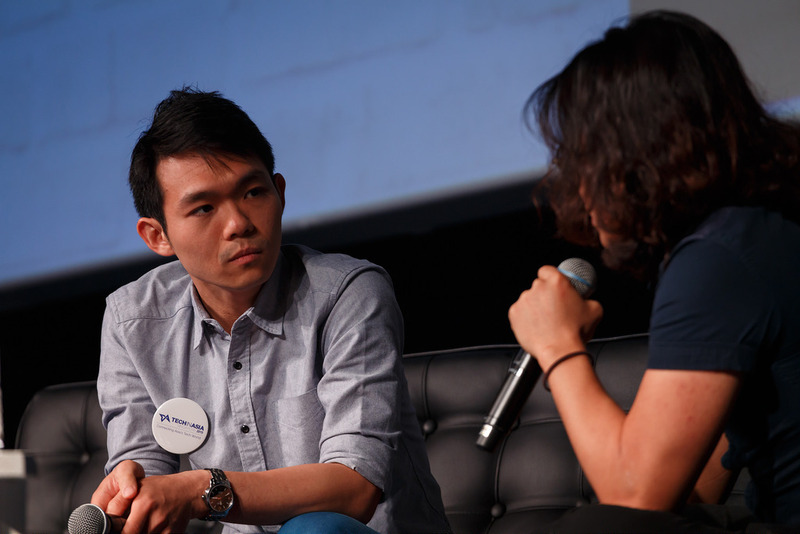 In an interview with us in early 2016, CEO and co-founder Dixon Chan reveals that the team was actually working hard to solve key issues, and make the platform more than just a place for recommendations – hinting at the possibility of the integration of food delivery and restaurant reservation options via the app. In another interview with High Net Worth, Chan also talked about their hopes to expand to five other cities soon. We’ve yet to hear any huge announcements from the team as yet, but we’ll definitely keep our ears peeled for more news. We’re very thankful that our first investors are also entrepreneurs who believed in the team, helped and empathised with us through this journey. 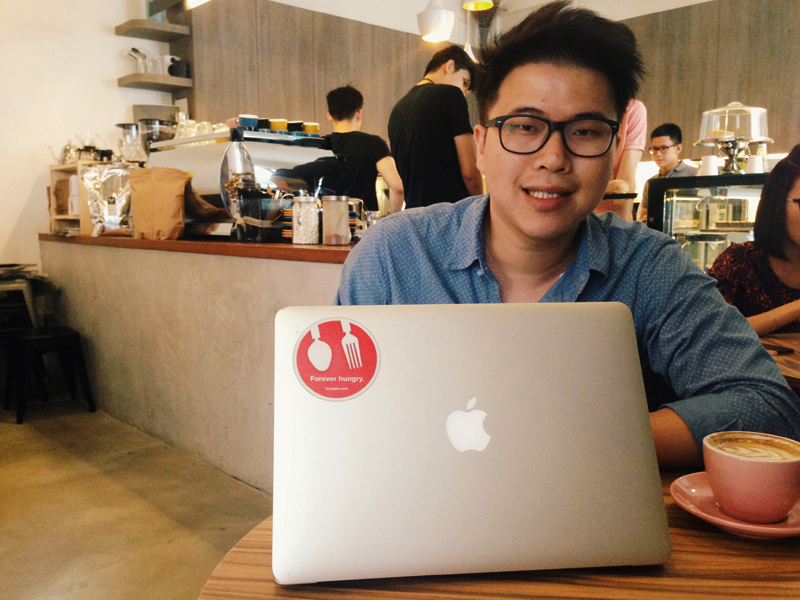 We first met James (Chan) at Starbucks at Raffles City when Burpple was still a paper idea. We kept in touch since and he agreed to lead our first round before we launched. Being one of the first VCs in the Singapore consumer tech space (video), he understands the unique challenges of start-ups in Singapore. I remember our midnight strategy calls from his home or when he’s in the midst of the traffic in Jakarta. He’s always there for the entrepreneur. As for James (Tan), we first met him at a restaurant in Silicon Valley. It was interesting because our meeting wasn’t planned at all. He actually came over to talk to us after hearing our Singaporean accent. Talk about serendipity! We kept in touch since and he invested in our first round. From his experience of starting up to IPO, James has always helped us with company building and founder morale. He’s someone that you can naturally share very openly with. We first met Brad after an angel investor told us we had to talk to him. Brad was the VP of Marketing at Yelp, where he built and led the team that built Yelp’s base of users and user-generated local reviews in 15 markets. He has helped us define the voice of our community of real customers which we’re known for today. Besides, he’s really good with things dealing with people and relationships (HR, hiring, people). These are things that are so easily underrated by founders in the midst of company building. Founded in 2014, 99.co has proven itself to be more than just another startup in the bustling property vertical. In July last year, 99.co was thrust into the limelight after one of their (now former) consultants made disparaging remarks about Singapore on Facebook. Instead of disassociating themselves, CEO Darius Cheung immediately came out to issue a public apology, taking responsibility for the employee’s actions, but emphasising that the startup “prides [themselves] to be a principled company that celebrates values like diversity and equality”. The commitment to making Singapore a less discriminatory place was further emphasised when Cheung posted a blog post on racial discrimination in Singapore, and correspondingly, the launch of the REGARDLESS-OF-RACE campaign, targeted at landlords, real estate agents and renters to take a stand against rental racial discrimination. But apart from the causes they’re actively fighting for, 99.co, which was also plugged by Facebook co-founder Eduardo Saverin, has also been making steady progress on the expansion front, having announced their official entry to Indonesia earlier in January. For James, he’s a great entrepreneur and one of the few I consider as true angel investor – no doubt James make great investment decisions, but a lot of what he does comes from truly trying to help the entrepreneurs – he is one of those guys you will go to first when you are in trouble, and I think that’s invaluable to have as your investor. Tech In Asia is a publication that not only covers news in the world of startups and tech in Asia, but also plays host to annual conference Startup Asia which takes place in various cities in Asia, and various community-building events throughout the year. Not just for those already deeply rooted in the exciting world of startups, TIA also aims to cater to those looking to enter it. In May last year, they launched a “Jobs” section on their website, aiming to serve as a jobs platform to connect brands and startups to potential talent and vice versa. Since its inception in August 2010, the publication has raised US$4.39 million (not including an undisclosed sum from a Series B funding in 2013) from 4 funding rounds, and with their strong emphasis on serving and building tech communities in Asia, they are more than poised to carry on their mission. It was more like a casual chat when I first met Willson. At that time, I didn’t know much about funding and raising capital. I met him wanting to learn more about the VC business. During the meeting, he asked many questions about our business, and if we could send him our deck and projections. So like any young, enthusiastic entrepreneur, I did. One week later, we finalised the round. Willson is a great guy. He has been instrumental to Tech in Asia’s growth. We’ve received solid feedback from Willson since Tech in Asia’s early days. Investors With A Midas Touch? If you’ve noticed, there’ve been a few common names popping up on the list. The eye for potential is one that comes with experience and keen foresight, but investments aside, it is also very much up to the startups to live up to, and surpass the expectations of those who have placed their faith (and funds) in them.